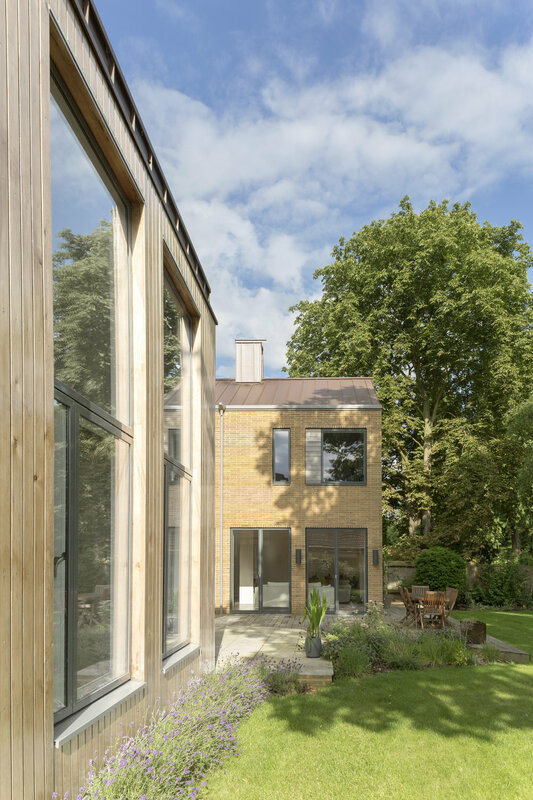 This contemporary private house replaced an existing bungalow on a wooded site outside Cambridge running down to the river Cam. 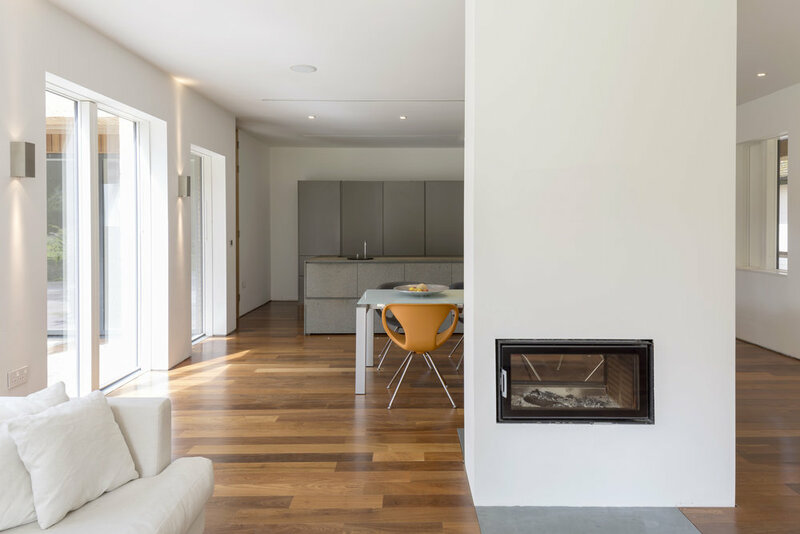 Set amongst mature trees, the new house is arranged around a south facing courtyard and terrace onto the garden. 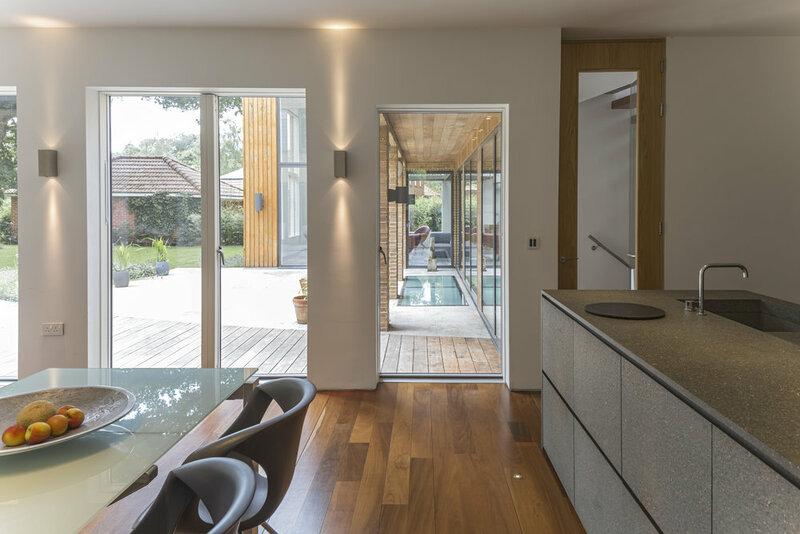 A colonnade and full height sliding doors open onto the court on three sides allowing the house to be opened up in summer. 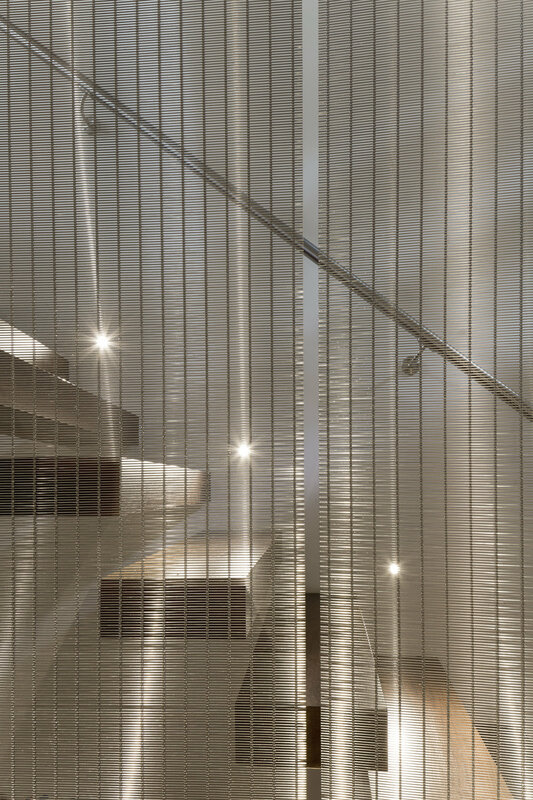 The house is planned with two wings around the main staircase at the centre, which is constructed with a cantilevered stair and dramatic full height curved steel mesh screen down the centre, lit from below. A lower wing on the west side contains a full height living room with polished steel balcony and stair, expressed as a perfect cube to the exterior, clad in self-colour hardwood. 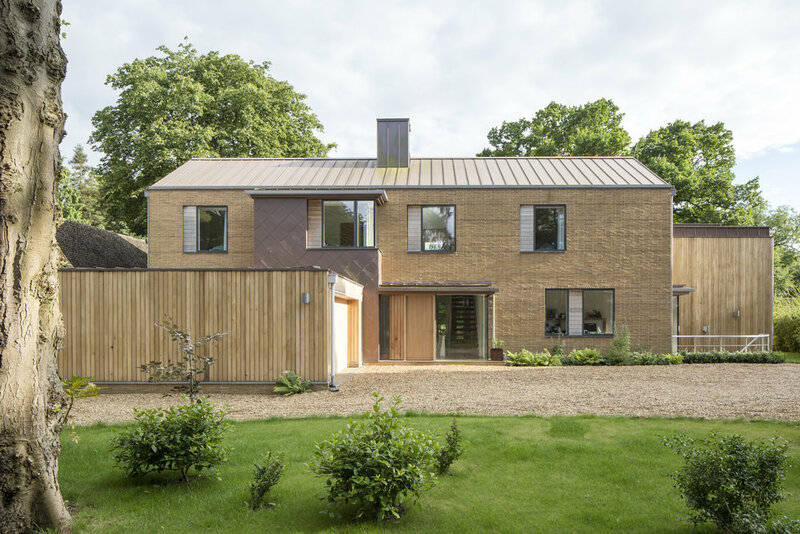 The roof is finished to a low pitch in zinc, with the walls constructed in a long profile brick adding richness to the texture of the facades. A basement contains service accommodation and a small flat.